Sand Dunes Express – Our Express tour is perfect for those who have a quick 30 minutes and want to experience the sand dunes beyond the observation deck You will ride along as our guide drives you in our four-seater UTV. You will enter the sand dunes and immediately be in awe of the beauty it holds. You can sit back and take pictures or simply enjoy the ride! Sand Dune Paradise – Our Sand Dune Paradise tour is about an hour long. We start in the beautiful coral pink sands climbing up hills and taking in all the different sand formations. We then ride through some back-country trails working our way back to the duns. We make one stop in the dunes where you can take pictures or run your fingers through the sand. Dunes & Boarding – Our Dunes and boarding tour is perfect for those wanting to experience some time riding in the dunes as well as try out sandboarding or sand sledding. This hour-long tour will give you 30 minutes of ride time and 30 minutes to board down the tallest sand dune in the park. Sunset Tour- Our Sunset tour is definitely a favorite among our guest! Our sunset tour offers cooler temperatures throughout the summer and usually throws in some breathtaking skies. 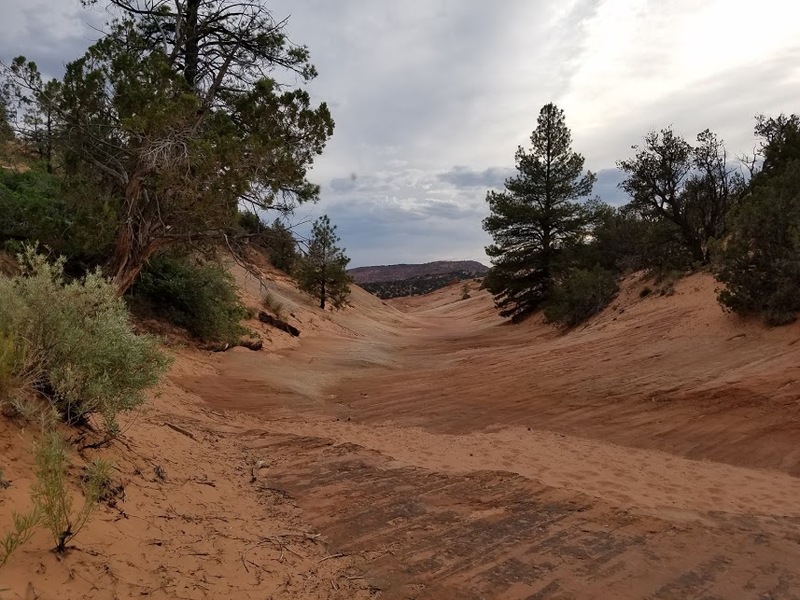 We begin our sunset tour riding through the Sand Duns and make our way to the mini slot canyon where our guests have the opportunity to do a short 15-minute hike. We then do some trial riding along some back-country trials that lead us back into the dunes where we make our final stop. 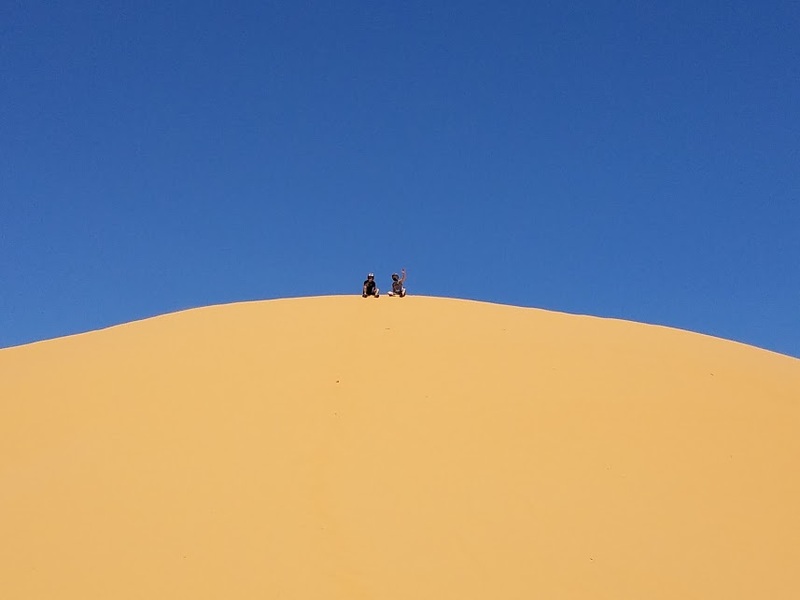 Our guest will have the chance to spend 20-30 minutes on top of the tallest sand dune in the park while watching the sunset and trying out sandboarding or sandsledding. Our Sunset tour is about a 2-hour experience. Questions? Call (435) 862-5084 and we will help find the tour right for you!